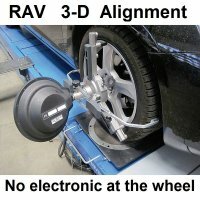 The New RAV-8LINER Bluetooth Alignment System...An ultra fast and accurate alignment at a great price point! Backed by AMERICAN service and support and built by one of Europe's oldest and leading manufacturers comes the new RAV 8LINER Bluetooth Series alignment system. 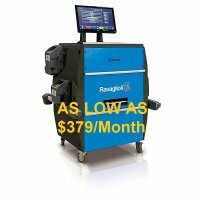 Precision accuracy and ultra quick measuring times are now possible at an extremely low and affordable cost. This system is fully equipped....not stripped....and is offered with two different wheel clamp choices. Our 8CCD Bluetooth wireless sensor heads are accurate and reliable and each head is a fully functional remote control. By establishing a measuring path for all four sides of the vehicle this system is capable of additional collision measurements and calibration tracking. 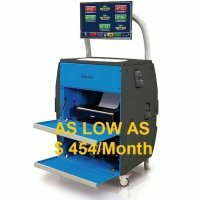 To further enhance an already great value you may choose between several premium options that are usually reserved for high end machines costing $25,000 or more.